In our house, we treat Halloween as a bit of fun. I dust off my dubious crafting abilities and, together with my tornadoes, we get stuck into activities that won’t break the bank. That’s where free Halloween printables come in handy! I’m also always prepared with treats. No one want their house TP’ed or, worse still, have to give muesli bars to unimpressed kids because they forgot to buy treats. Don’t laugh – one Halloween my Mum did exactly that. Oh the embarrassment! We’ve never let her live it down. 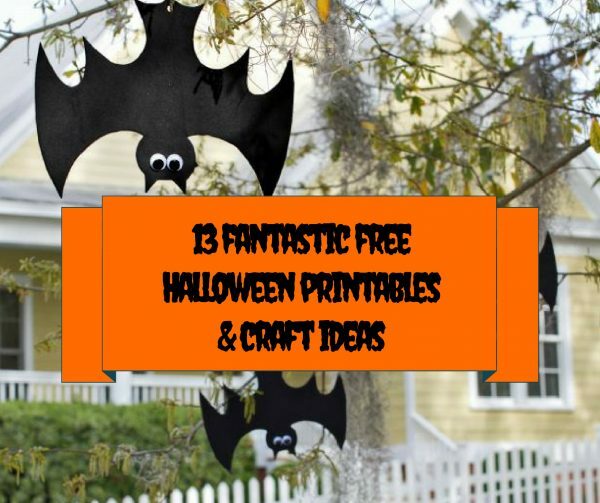 If you want to impress your kids with some fun Halloween activities or decorate your house without spending a small fortune, here’s 13 of my favourite free Halloween printables and crafty ideas just in time for October 31. 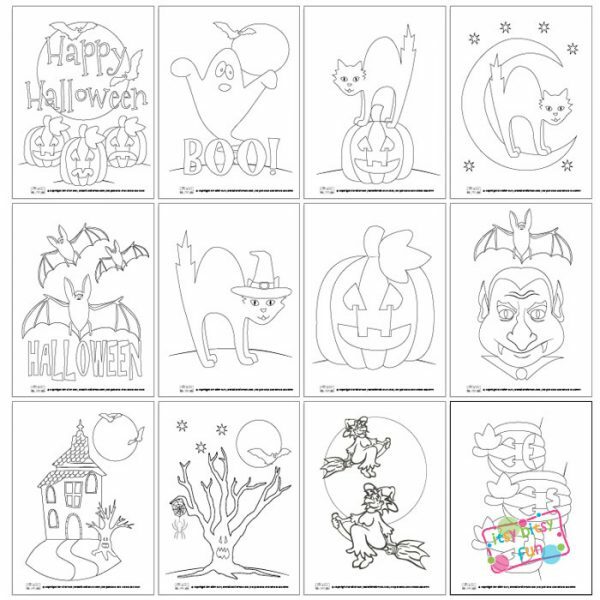 Itsy Bitsy Fun has created these 12 spooky and fun free colouring pages. 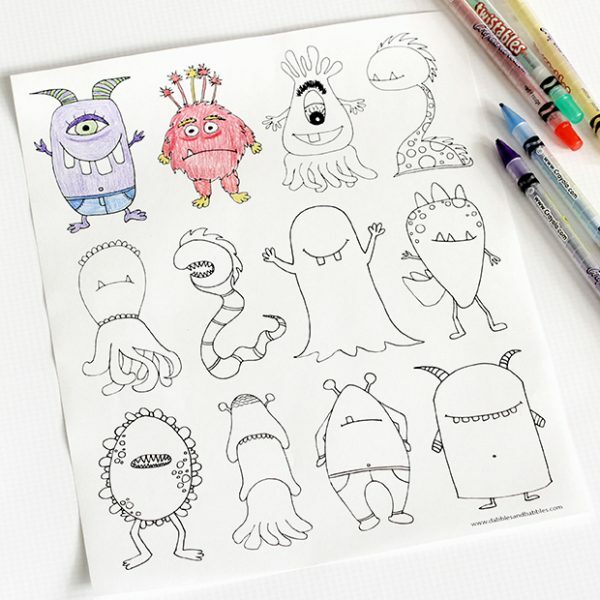 Kids can get creative with this printable monsters colouring page by Dabbles and Babbles. You can find 9 more colouring pages (including popular characters, dot-to-dot and mandala style designs) in this great round up at Cool Mom Picks. 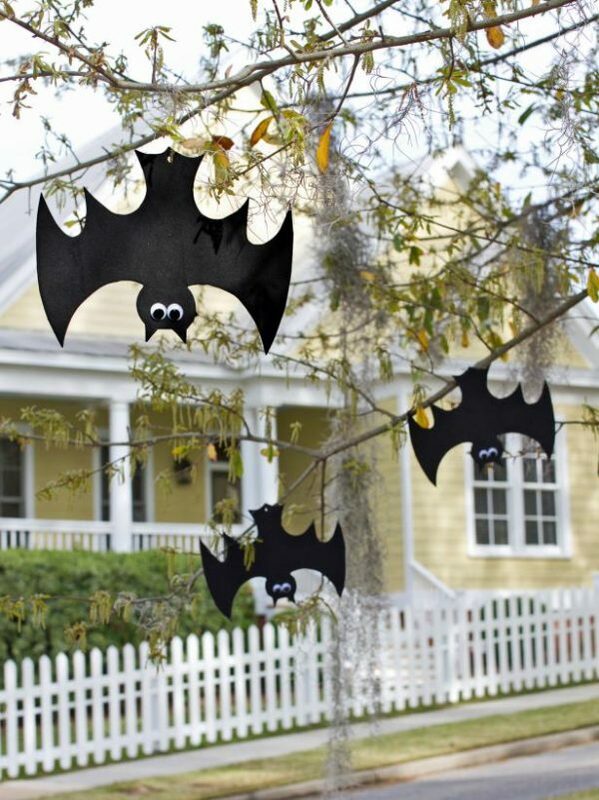 We made these simple hanging bats last year and they were a hit. HGTV provides the template and all you need is black craft foam, googly eyes and fishing line. 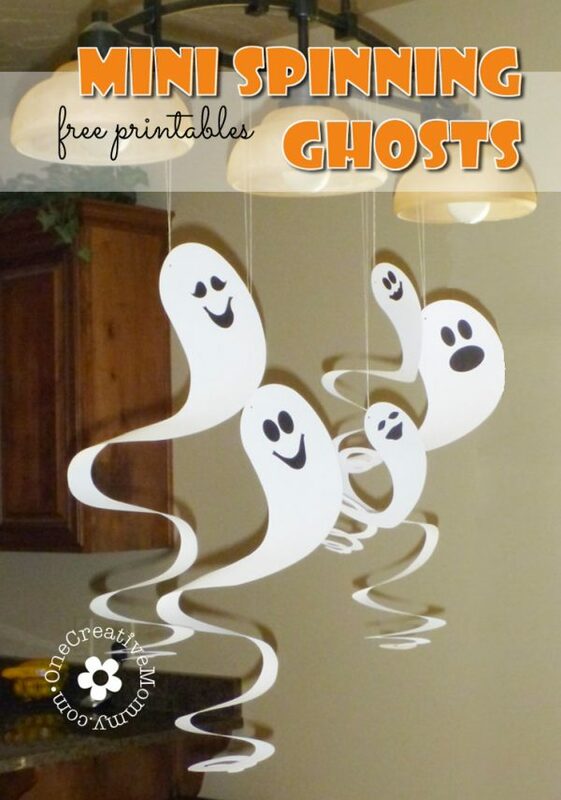 Keep the bats company with these mini spinning ghosts by One Creative Mommy. 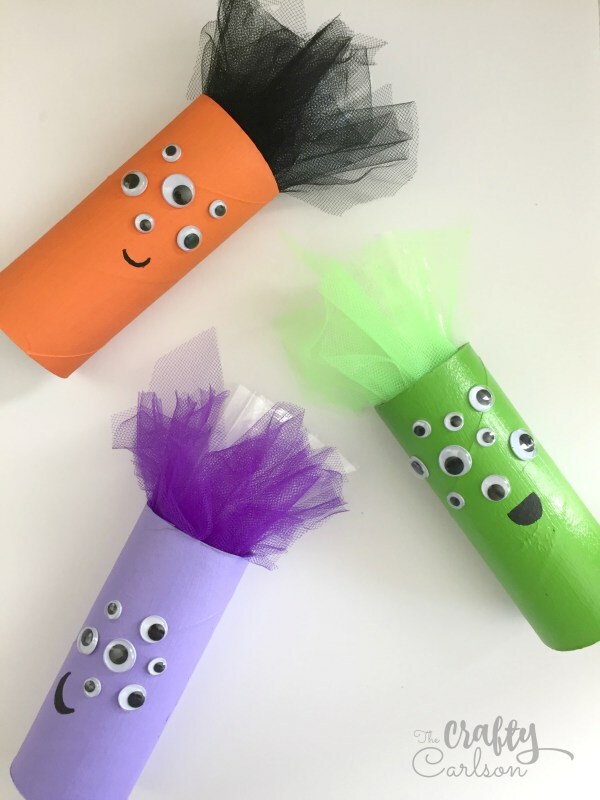 These silly monster tubes spotted at The Crafty Carlson are a great way to play with paper towel cardboard rolls. 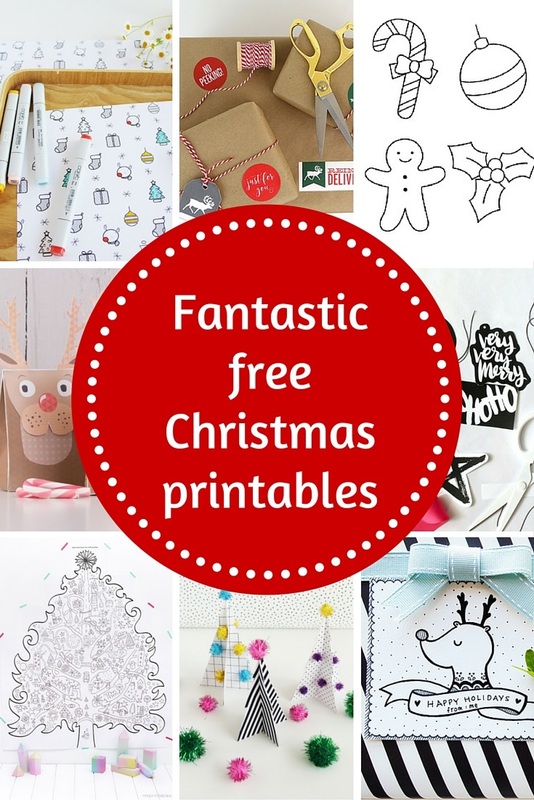 Stuff them full of fun treats and you have a cool giveaway! Somewhat Simple has created these Tic Tac Halloween labels. Ghost Poop is the kind of humour my tornadoes love (I think it’s pretty hilarious too!). 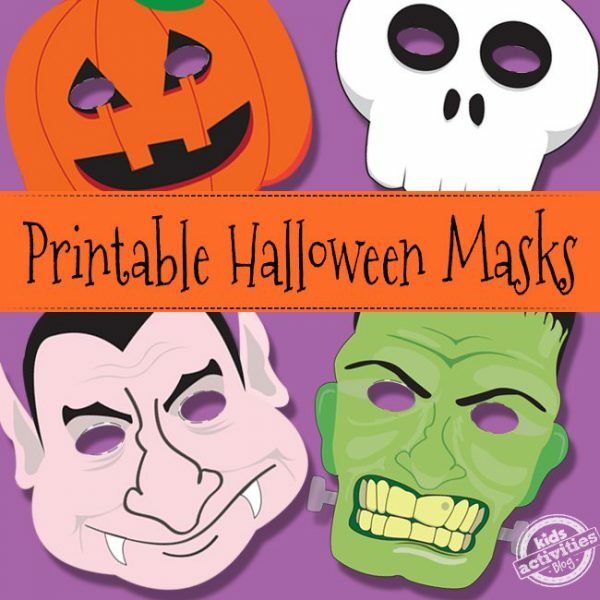 Spook your friends with these printable Halloween masks from Kids Activities Blog. 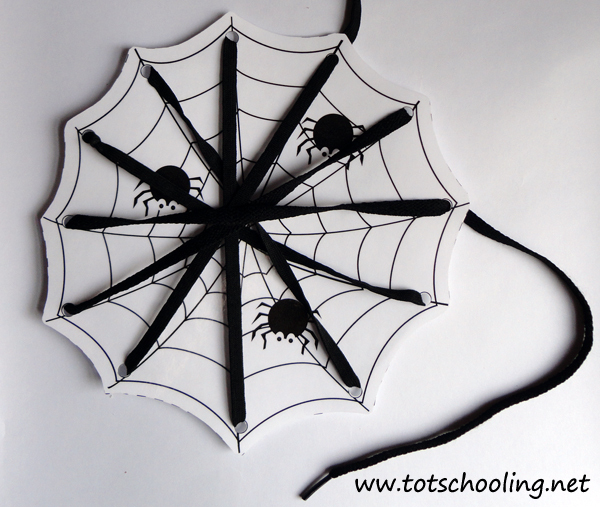 A great activity for little ones, I love these fun printable Halloween lacing cards by Tot Schooling (in 5 different designs). 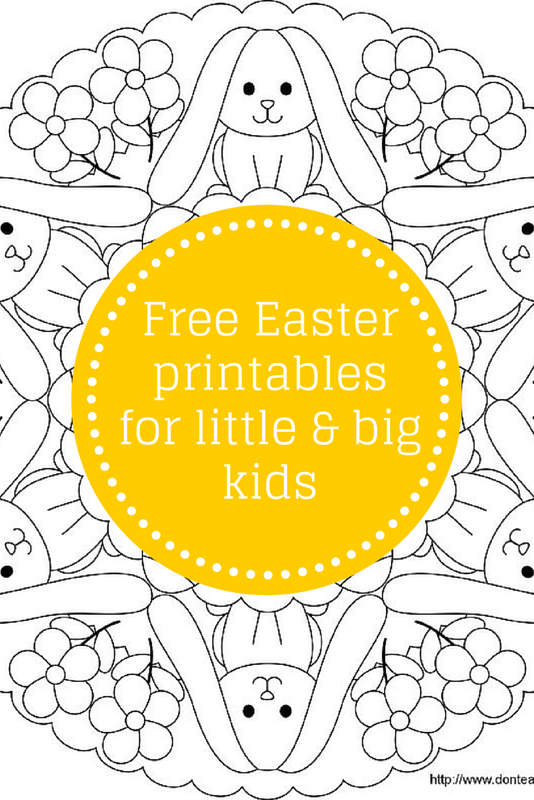 You can always reply on Mr Printables for great free printables. 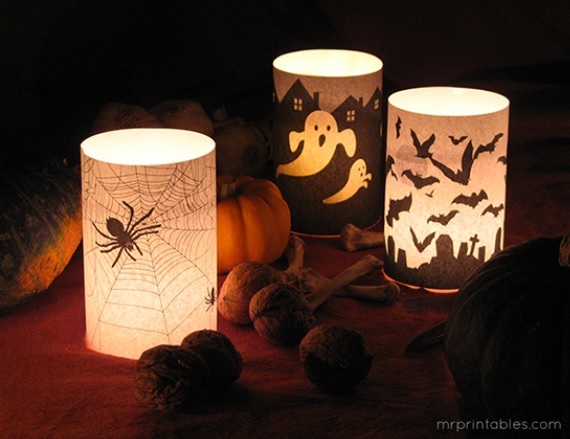 These spooky Halloween candle holders are no exception. My tornadoes love crafting with paper plates. 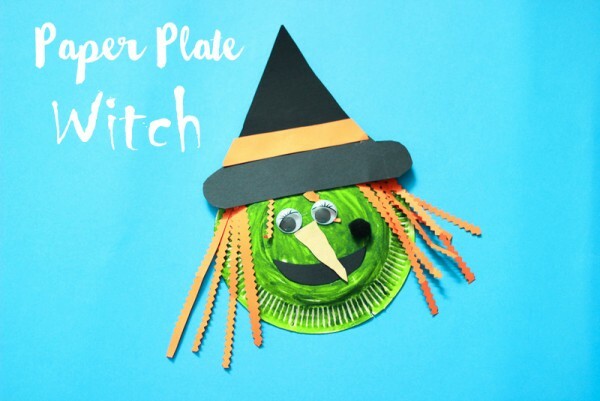 They would love making this paper plate witch as featured on Make and Takes. 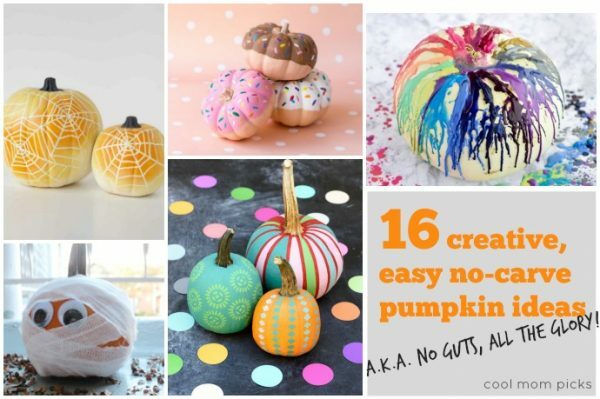 If you’re partial to pumpkin decorating, I love these no-carve ideas over on Cool Mom Picks – no guts, all the glory! 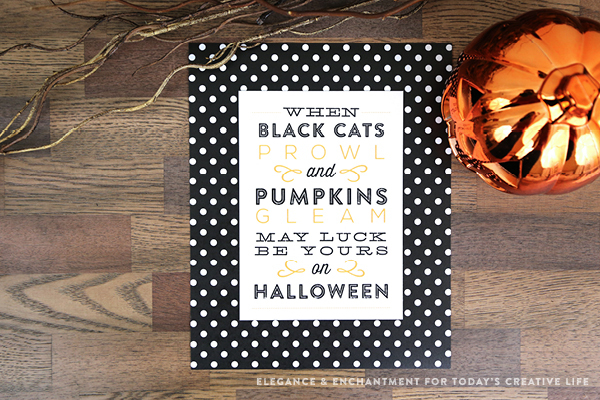 For us big kids, clever Michelle at Elegance and Enchantment has created a stylish array of Halloween printables including art prints, invitations and bottle labels. 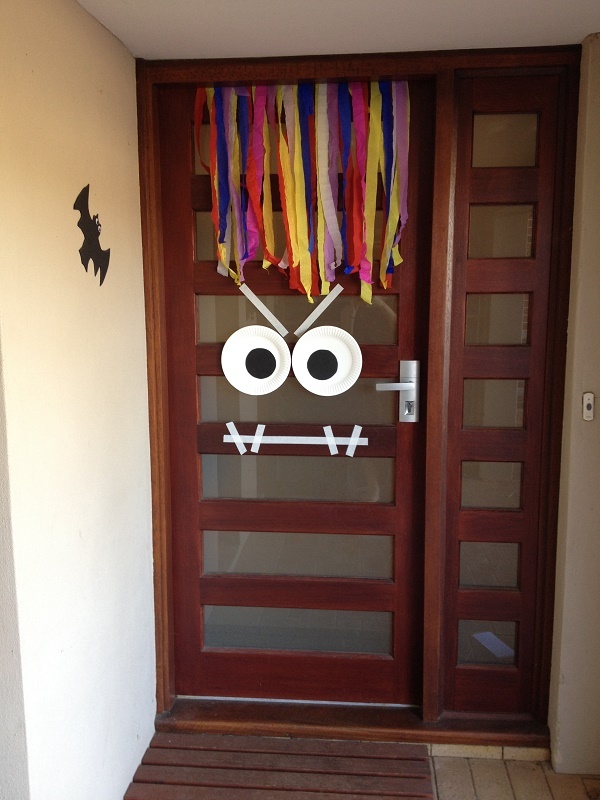 We decorate our front door every year – here’s last year’s effort! Amazing what you can do with some crete paper, paper plates and masking tape. 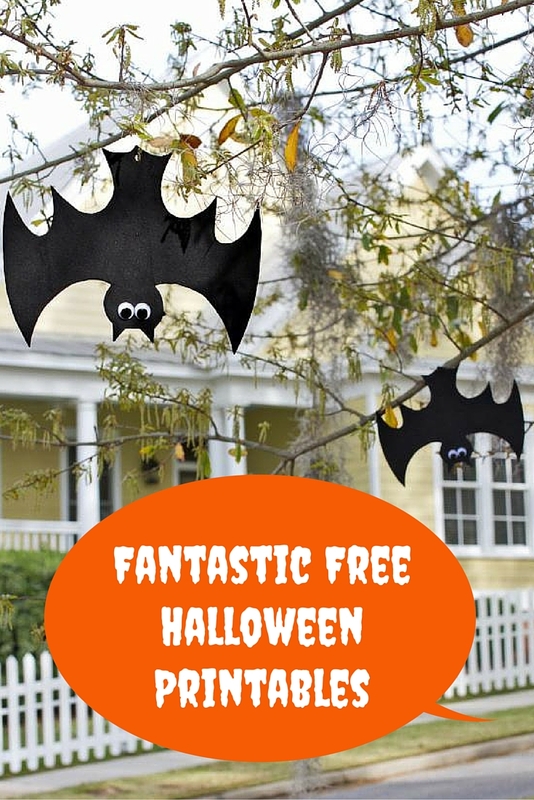 Do you have fun with Halloween in your house? NextWhat do I put in a party bag?